The National Union of Students (NUS) has called for thousands of students to stage a walk-out of University on the 20th February. It is in protest of Theresa May's inviting of Donald Trump on a state visit to the UK, despite his travel band and "racist agenda". NUS believe now is the time for people to show solidarity in the face of prejudice. "It has become more important than ever before for us to unite in showing opposition to racism, xenophobia and hatred and to stand in solidarity with all those who have been feeling the brunt of state-sponsored racism across the UK and beyond. “We have been seeing the debate around immigration taking a nasty and divisive turn over the years. Yesterday, Parliament voted AGAINST a bid to guarantee EU nationals' rights post-Brexit. The amendment, tabled by ex-Labour deputy leader Harriet Harman, was rejected by 332 MPs, while 290 voted FOR it. 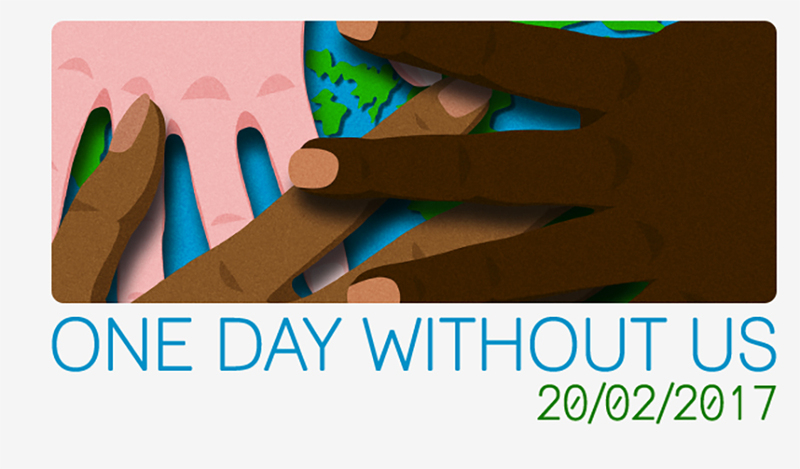 The event is called 'One Day Without US,' and it is intended to be a day of appreciation for the contribution migrants make to the UK. International students make up approximately 20% of the student population in this country. The walk-out is due to take place on 20th February, the same day Parliament will debate the visit after 1.6 million people signed a petition calling to ban it. "“Since Brexit, we have seen levels of xenophobia and racism that have been increasingly legitimised. As well as the walk-out, badges and lanyards will be worn by campaigners. And parties will be held celebrating those studying and working who came from overseas.